Taking outstanding comfort and minimalist design to another level, the Metris E collection offers functionality and modern style that blends with any situation. 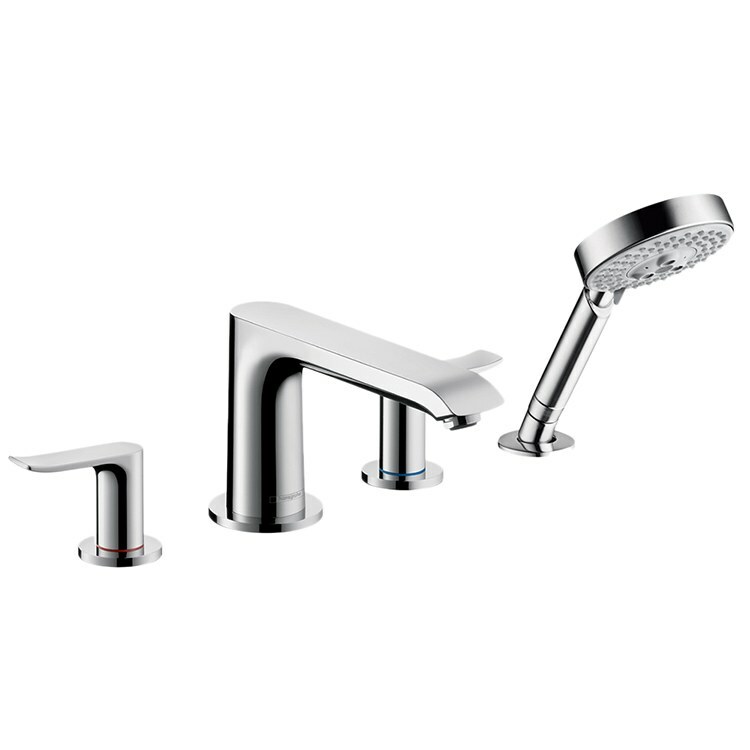 This Roman tub filler faucet features two ADA-compliant lever handles and a rigid spout that measures 8-1/4" long with a 7-5/8" reach. Includes a Raindance S 100 Air three-function handshower with 65 no-clog spray channels that deliver a choice of RainAir, BalanceAir, and WhirlAir spray modes. Deck mounts in four-hole applications. Trim kit requires a rough-in valve which is sold separately.